Will new tires decide the F1 title? 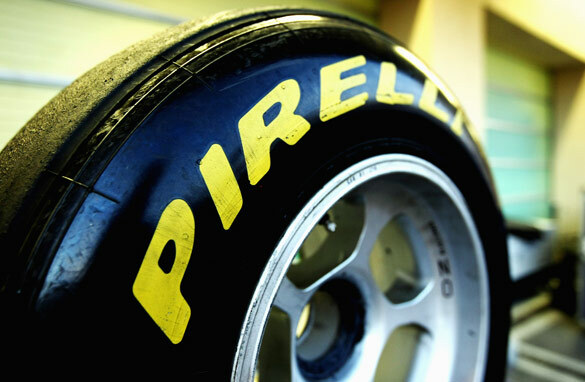 The 2011 season will see Formula One drivers attempt to master the softer Pirelli tires. At around $5000 each, four new tires would seem to be rather costly. But in the multi-million dollar world of Formula One, that price makes a set of wheels one of the cheapest components on the car. For some teams this year though, it could be the rubber that turns out to be the most expensive. After four years of incredibly hard-wearing and reliable Bridgestone tires, the elite division of motorsport is turning to the Italian manufacturer Pirelli as its sole supplier. The brief given to the company executives in Milan was simple, don’t build them to last. Bridgestone tires were uber-dependable, as were the Michelins before them. But gone are the days when Sebastian Vettel could drive for almost an entire race on one set of soft tires, only pitting in for a spruce-up on the last lap as he did in September 2010 at Monza. This season, the world champion is going to be seeing a lot more of his pit-crew. Of all the changes teams have been getting their heads around in testing - KERS and moveable rear wings being the other significant adjustments for 2011– the tires are causing the biggest headache. Cars that are not set up correctly will chew through the rubber quicker than others, slowing them down and costing precious seconds in the pit-lane. Drivers who are too aggressive will face the same problem, giving smoother drivers like Jenson Button and Felipe Massa an advantage before the lights turn green in Melbourne. Pit-lane stats from testing in Barcelona showed that soft tires were lasting a maximum of 14 laps, the harder compound only 8 laps more. And when they go, they go. As the rubber rapidly degrades, lap-times slow dramatically. McLaren’s Lewis Hamilton reported he was almost down to the canvas at one stage in testing, with the result being that he might as well have been driving on an ice-rink. As the season develops, teams and their drivers will undoubtedly get better at eking more life out of the Pirelli product, but expect to see three pit-stops becoming much more common and in longer races – such as the Canadian Grand Prix – four stops won’t be out of the question. Teams with two cars still in the race will have to be on top of their game, strategically and operationally. More pit-stops means a smaller margin for error and more surprises. Last season was arguably the most exciting Formula One has ever seen, with four drivers taking the title battle down to the very last race in Abu Dhabi. This year should be just as competitive, if not more; five world champions on the grid and plenty of others who think they are good enough to have the ‘1’ painted on their car. The fastest drivers in the world will not only be burning rubber this season, failure to manage their tires correctly will see their championship prospects go up in smoke as well. I take issue with the Michelin tires having been consistent, as would Ralf Schumacher. I was at both USGPs when the Michelin tires couldn't take the 15 degree Indy banked turns in practice(s) and in the race(s). And please don't forget the 6 car race fiasco that resulted from Michelins not cutting the mustard nor the turns. Let's hope the Pirelli tires provide interesting races but not dangerous ones. Wow.. Let's replace superior designed products with inferior designed products to prove what??? Greed? More tires = more pit stops = more money for Pirelli and more risk of failure for the racing teams. What is next thinner brake pads and rotors to manage their braking??? Slow oil leaks to create spin-outs and crashes? All in the name of F1 racing. Stick with NASCAR, its a more professional sport... and better managed!!! It will for sure be a great F1 season. FERRARI all the way. @BigBear: No thanks. I'd rather watch something interesting. I agree with Big Bear, why replace superior designed products, with inferior products.Is it really for the good of this great and most enjoyable sport, or is it "MONEY,MONEY" into the pockets of the "POOR RICH". Perhaps we need a revolution against the "POOR RICH", in the spirit of the BRAVE ARABS. stop exploitation of the F1,race fans. Last year 2010, was indeed one of the most exciting years in F1, and i have been following F1 for approx 40years.Please keep this great sport, clean and as incorrupt, as possible. F1 is too sanitized. Bring back the 14 mile Nurburging. It isn't that the Pirelli tires are inferior products, it is that they were designed to wear faster per F1 management direction. Why? I am guessing that they wanted to generate more action or closer racing for the spectators. One of the issues that many drivers have commented on are the constantly changing rules. The FIA needs to leave the same rules in place for a couple of seasons insteand of changing the specs every year. NASCAR – when was the last time a car anywhere was manufactured with a carburator? Maybe the Yugo, but that is about it. Nothing stock about those cars at all these days. Long gone are the days that you could honestly identify with a brand during a NASCAR race. There is no rule change to make tyres wear faster (incidently F1 tyres are not designed to wear faster, they're designed for max grip which inevitably means they wear faster). The tyre rule change for 2011 is "Tyre allocation has been reduced for 2011, with 11 rather than 14 sets of dry-weather tyres available to each driver per race weekend"
To me this actually means fewer tyre changes ???????? ?